Mr. Watson was taken into custody without incident by Texas County Sheriff’s Deputies and Guymon Police Department Officers. 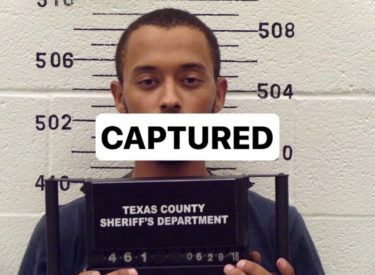 The Texas County Sheriff’s Department is asking for the public’s assistance in locating the following criminal suspect. If you have information on the whereabouts of this individual, do not attempt to apprehend him yourself! Call the Texas County Sheriff’s Department at (580) 338-4000 or your local law enforcement agency.